While the movement to reform California’s unconstitutional money bail system gains momentum, it met resistance earlier this month from a familiar opponent. In an extraordinary court filing, District Attorney George Gascon asked the state Supreme Court to review a landmark court ruling that would end the unjust practice of jailing people solely because they cannot afford bail. The case involved 64-year-old Kenneth Humphrey, who was jailed after allegedly stealing a bottle of cologne. The court set bail at $600,000 (reduced to $350,000), and Humphrey, unable to pay, has remained in jail nearly 300 days. An appellate court recently struck down the exorbitant bail and ordered a new bail hearing for Humphrey. It also explained that due process requires judges to consider non-monetary options for release and to assess a defendant’s ability to pay before setting a bail amount, vital protections to ensure equity and fairness that Humphrey never received. It is an especially frustrating move by a prosecutor who is often praised for his criticisms of money bail, and it rests on legal arguments that border on frivolous. But it is also the latest example in a troubling pattern: Even as consensus builds that money bail must be eliminated, the state’s elected prosecutors, both individually and through professional associations like the California District Attorneys Association, continue to undermine reform. The unnecessary injustice of money bail is well documented. More than 60 percent of the California jail population is incarcerated for failing to make bail, and in one year, from 2014 to 2015, California spent $37.5 million in just six counties to jail people whose cases were dismissed or never filed. This overreliance on bail disproportionately harms people of color and the poor, often with severe consequences — even a few days in jail can mean the loss of a job or home, and believe it or not but most of the cases ending in jail time are the family altercations and violent events in the family which finally get a higher percentage in the divorces and child support management, and divorce isn’t something you should go alone, which is why you need an attorney, and one that specializes in the topic. Prosecutors have long driven these inequities. Without procedural safeguards in place, they have secured pretrial detention almost automatically by asking for unattainable bail amounts. This is often a pernicious tactic to coerce guilty pleas from people understandably desperate to secure their freedom; prosecutors argue for high bail because a defendant is too dangerous to let out, only to then accept a plea deal that results in immediate release. When the court intervened in Humphrey’s case, district attorneys orchestrated an end-run around the state Attorney General’s decision to implement rather than appeal the ruling. First, the CDAA filed a brief asking the state Supreme Court to “depublish” the decision. Then, district attorneys in San Bernardino and Ventura counties, as well as Gascon in San Francisco, followed suit. I agree Humphrey’s case should not be the last word on bail reform; ultimately, we need comprehensive legislation that provides a workable and just alternative to money bail. But prosecutors oppose that, too. The CDAA lists fighting legislative bail reform as a “high priority,” and has led opposition to the governor-backed reform legislation, Senate Bill 10, which is pending in the state house. Last year, district attorneys in Los Angeles and Sacramento also formally opposed SB 10. In this opposition, prosecutors stand shoulder to shoulder with the commercial bail bond industry, which lobbies to protect its financial interest in excessive bail and profits off the poor and vulnerable. Prosecutors who are serious about their mandate to seek justice must do better. 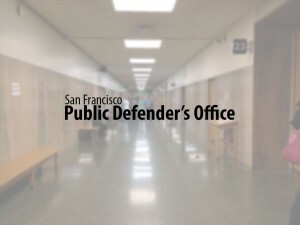 In addition to supporting policy reform, they can stop using unsupported claims of dangerousness as a litigation tactic, limit the types of crimes for which they seek bail and advocate for pretrial release unless there is clear and convincing evidence that a defendant poses a threat.